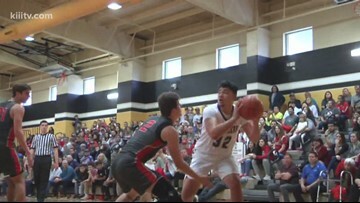 The Miller Buccaneers and Port Aransas Marlins both dropped their Region Final matchups. Miller boys basketball punched it's ticket to the Regional Semifinals with a 58-54 overtime win over Brownsville Veterans Memorial at Texas A&M-Kingsville. 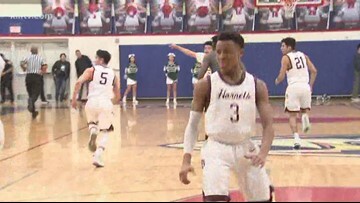 Miller boys basketball punched it's ticket to the Regional Semifinals with a 58-54 overtime win over Brownsville Veterans Memorial at Texas A&M-Kingsville. The Buccaneers await the winner of the San Antonio Sam Houston vs. Austin Reagan matchup. The Miller Buccaneers punched their ticket to the Regional Quarterfinals on Saturday with a 53-35 win over Sharyland Pioneer. The Miller Buccaneers punched their ticket to the Regional Quarterfinals on Saturday with a 53-35 win over Sharyland Pioneer. Up next for Miller will be a matchup with Brownsville Veterans Memorial, a team that knocked Flour Bluff out of the playoffs on Friday night. The Texans beat Edcouch-Elsa 66-43 down in Kingsville while Flour Bluff lost to Brownsville Veterans Memorial 74-53. Odem protected its state-ranking, topping Santa Gertrudis 53-50. 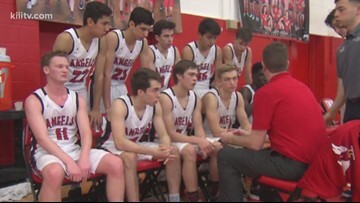 Five highlights from Tuesday night's Bi-District round of the boys basketball playoffs. 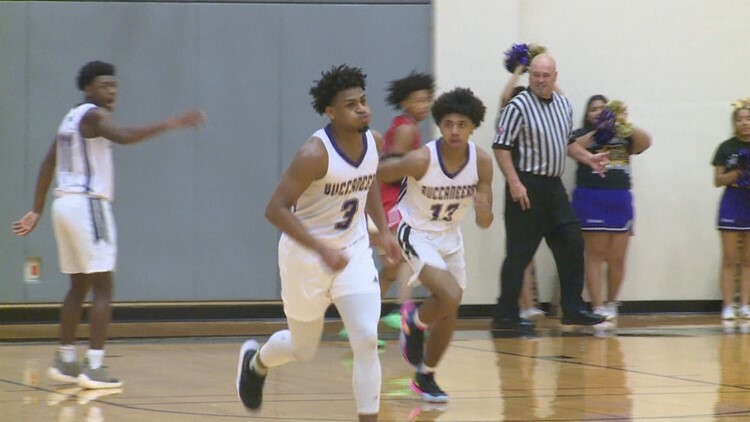 The Bi-District round of the boys basketball playoffs resumed Tuesday night, we have highlights of five games including teams from the Coastal Bend. A pair of highlights from Tuesday night's girls basketball Regional Semi-Finals. Incarnate Word Academy boys and girls basketball both hosted Houston Lutheran South in the Area round of the playoffs on Saturday. Incarnate Word Academy boys and girls both hosted Houston Lutheran South in the Area round of the playoffs on Saturday. The boys dropped their matchup 53-50, the girls won theirs 60-47. Three highlights from Friday night's Area round of the girls basketball playoffs.